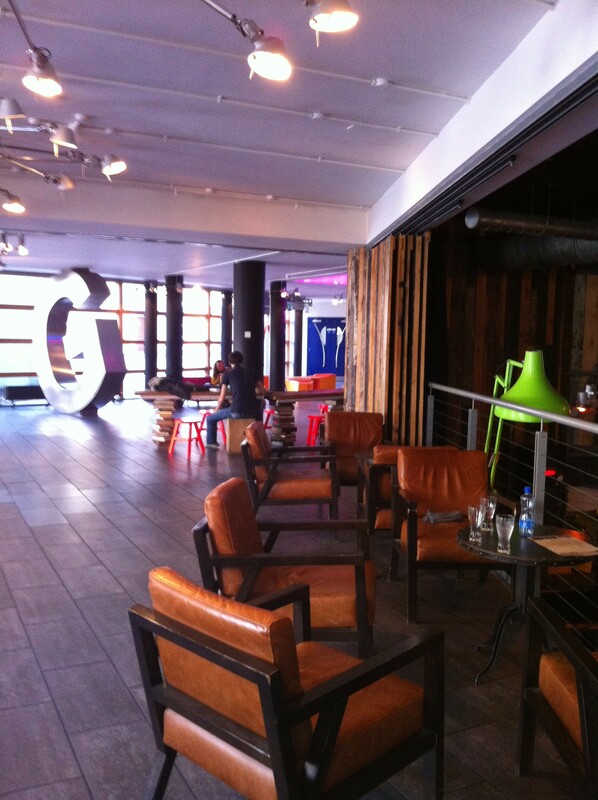 If you’re looking for a modern and vibrant, luxury hostel with a diverse crowd; meet Generator Dublin. Generator Dublin lives in Smithfield in the heart of Smithfield Square, just north of The Liffey, next to the Jameson Distillery and away from the hustle and bustle of the main action. Generator is well connected with public transport but if you prefer to walk, plenty of pubs and entertainment can be found just south of the river in Temple Bar, which is about a 10-15 minute walk away. In fact most of the city centre is accessible on foot from the hostel. Not that you have to venture far to sample good food, drink and entertainment as Generator delivers on all fronts and if you fancy a change, there’s a small selection of bars and restaurants directly opposite the hostel as well as a Fresh supermarket, which also houses an ATM at the back of the store. 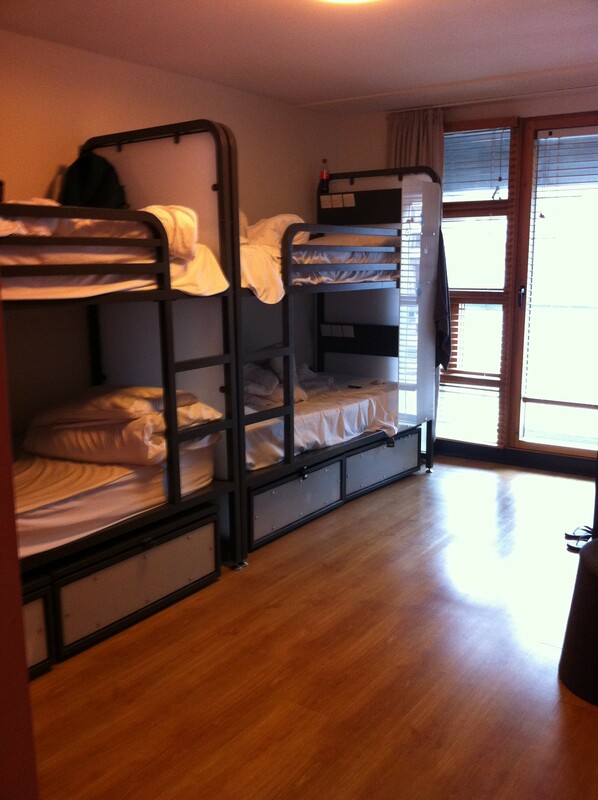 The 6-bed female dorm I stayed in. I stayed in a female dorm with 6 beds and en suite on the second floor accessible only by a security card which activates doors and the elevators to the rooms. I absolutely loved my room. The decor much like the rest of the hostel, is modern and beautiful and the bed linen and room were spotless. I was genuinely delighted by the size of the lockers on castors, placed underneath each bunk bed and all my belongings easily fit inside. The soft-opening lockers require a large padlock; my standard lock for my case wasn’t big enough but Generator sell big chunky locks down at reception for only 5 Euros; considering the captive audience, this is incredibly good value. Each bed comes with a privacy screen, two power sockets, small shelf and a light. Did I mention how comfortable the beds are? The room also has a couple of mirrors and a table with stool; the en suite contains a sink with mirror, toilet and shower. The shower is super-powerful although most of us in the room also made use of the shared facilities on the floor beneath us too where there are plenty of facilities which are regularly cleaned and I never had to wait my turn. The common areas in the hostel are as diverse as Generator’s visitors, with something for everyone, and wifi for all (guests). Each level is accessible via elevators which isn’t always the case in a hostel. The lounge, bar and cafe areas include a variety of seating spaces, with music playing in the background, adding to the relaxed and easy-going, friendly atmosphere. Live music is also regularly performed and I was fortunate enough to catch an Irish group playing in the bar one Friday night. In addition to the above, Generator is hosted by a very helpful and friendly team of staff who are happy to assist anytime of day or night. A range of reasonably priced food is also available and of course the bar also stocks a good selection of drinks although I only sampled the Guinness. I arrived in Dublin from the airport and took the Airlink 747 bus to Usher’s Quay (€6 single, €10 return), which is approximately a 5-10 minute walk to the hostel. A taxi to or from the airport costs 20 Euros (one way) and the tram (known as the Luas) also stops near the Generator at the Smithfield tram stop. 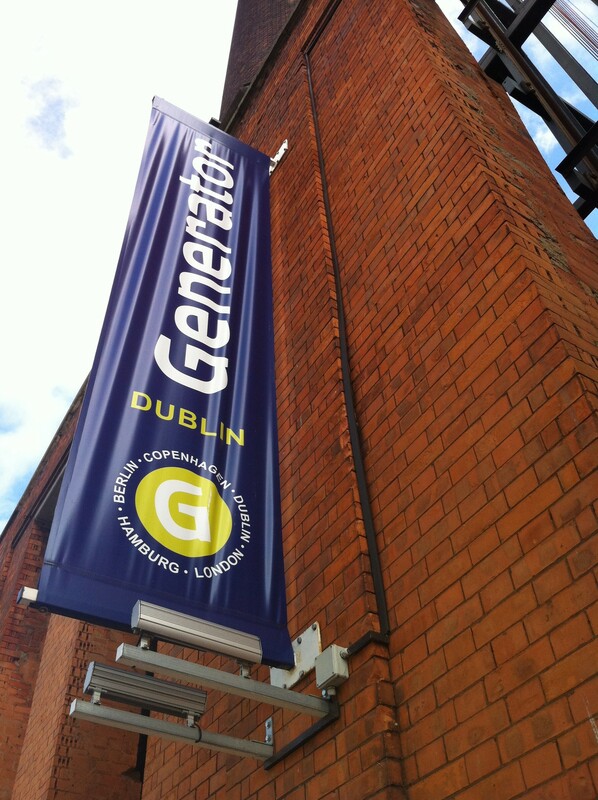 Generator Dublin is a relatively new concept in hostel provision; it’s luxury on a shoe-string and it’s not just for kids either; everyone is welcome. It’s grown-up and family-friendly all whilst still maintaining appeal with young and not so young budget travellers. Generator Dublin promises a lot and there’s no denying it delivers. Generator Dublin is definitely my kinda hostel and with hospitality, home comforts, a nice crowd and lots of entertainment, I guarantee I’ll be heading back soon. In fact I also can’t wait to try the rest of the hostels in the Generator family. I have so much #GenLove right now. Lovely meeting you at TBEX! Thanks for the inside look. I’ve never stayed at a hostel before because I thought they were grungy backpacker only places– I could definitely handle a place like this! This looks like an amazing Hostel I’ll keep it in mind for the next time I’m in that area. Thanks for the tip!